On Tuesday, April 9, volunteers from Roc Solid Foundation and ECR Engines will build hope for 4-year-old Gracie Belanger from Winston-Salem, North Carolina by surprising her with a brand new playset in her backyard. Gracie has been fighting a type of brain cancer (Neurofibromatosis) at Brenner Children’s Hospital. 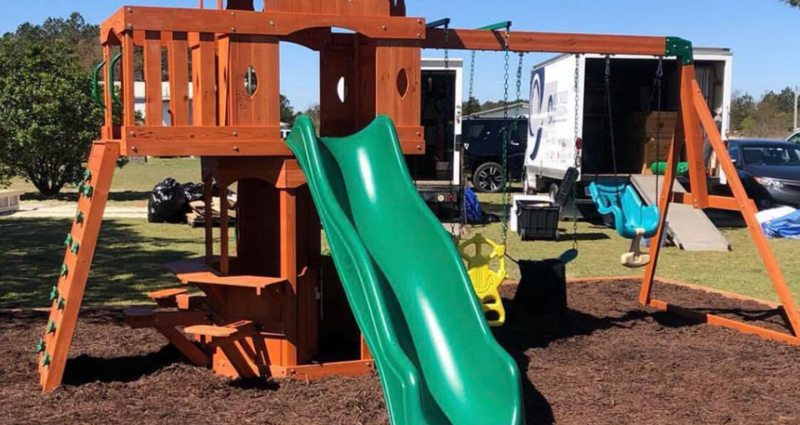 “When the opportunity was presented to ECR to be a part of building a brand new playset for Gracie, we gratefully accepted,” said Richie Gilmore, President of ECR Engines. “The treatments these kids undergo are intense, leaving them with little time and energy to enjoy playing like most kids do on a daily basis,” says Eric Newman, Roc Solid Foundation founder. “It’s our goal to give hope to these children by allowing them to be carefree for the day – to not think about cancer for a day – and the smiles we see make it all worthwhile,” he said.